The world has some pretty amazing natural wonders to see, and giant falls rate up there with the best features of our planet. 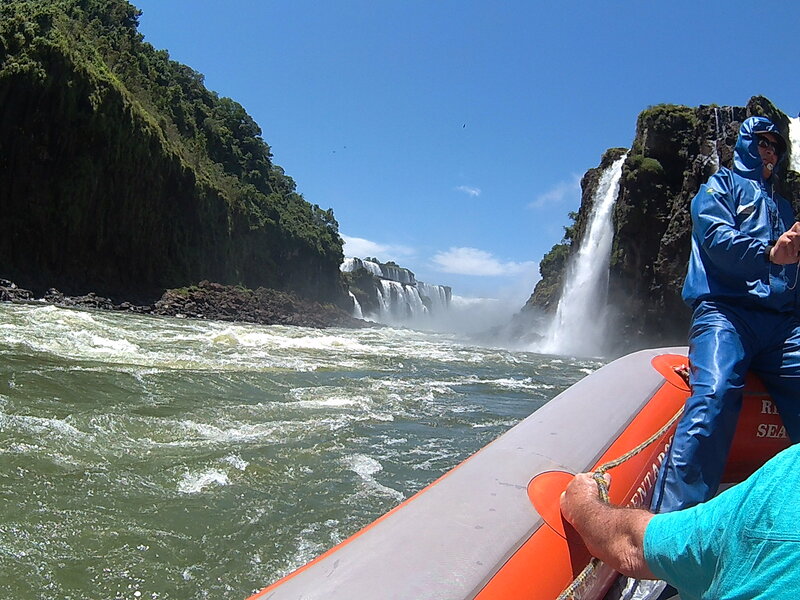 You have Niagara Falls which borders Canada and the USA, Angel Falls in Venezuela, Victoria Falls which sits on the Zambian and Zimbabwean border, but not to be outdone, Iguazu (which means ‘big’) is at the border point between THREE countries – Argentina, Brazil and Paraguay. 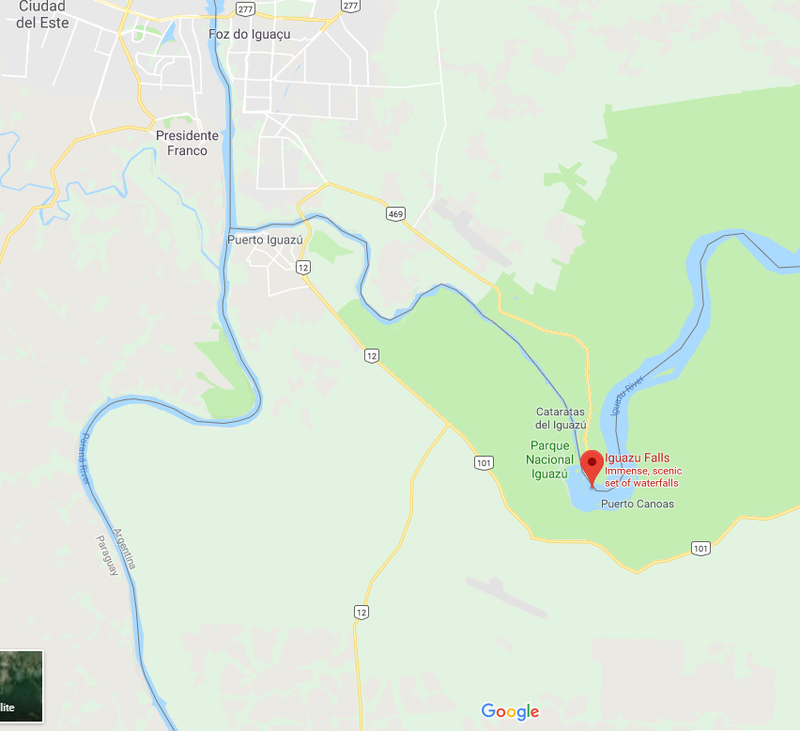 Okay, not quite – it’s a few kilometres away from Paraguay, but it’s pretty close! And they are seriously loud, big and impressive falls. The only falls I’ve seen of similar stature and size are the Niagara Falls. I haven’t visited the other two mentioned. YET of course. I was there in December 2016, so a little over a year ago. 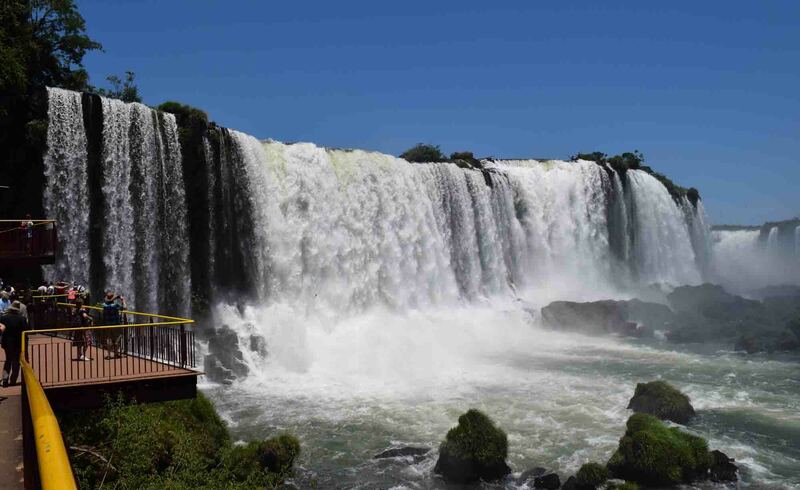 Originally umming and ahhing about whether I was going to visit them, I bit the bullet and bought an air ticket there to Puerto Iguaçu, which is the town nearest the falls on the Argentinian side. 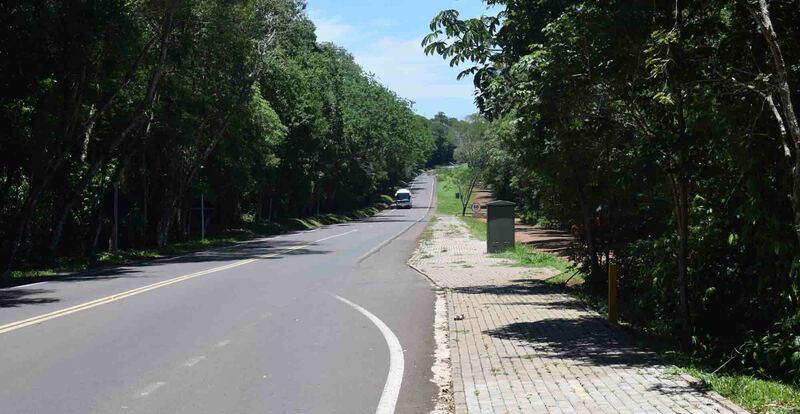 It wasn’t that long a taxi ride from the airport, across the border to Foz du Iguacu, on the Brazilian side. 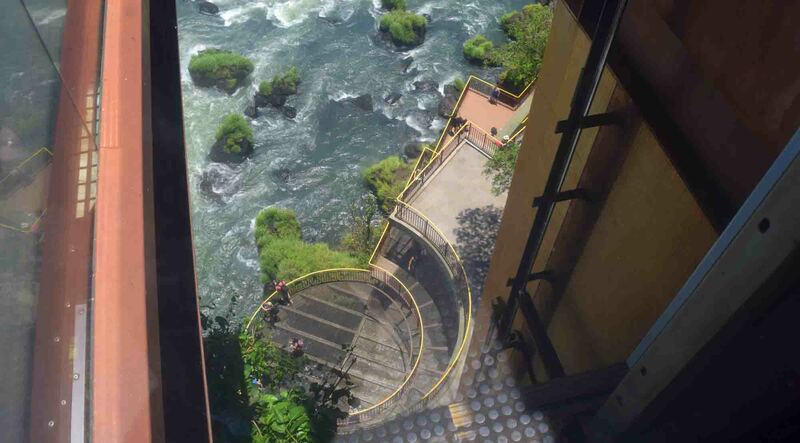 This was how I entered Brazil, and my visit to the falls was on the Brazilian side (I didn’t cross back to Argentina). It’s a MAJOR tourist attraction regardless of whichever side you are on. Luckily there is a very cheap public bus to the falls because of this. There are large gates at the entrance, but there wasn’t a massive volume of people entering that day. 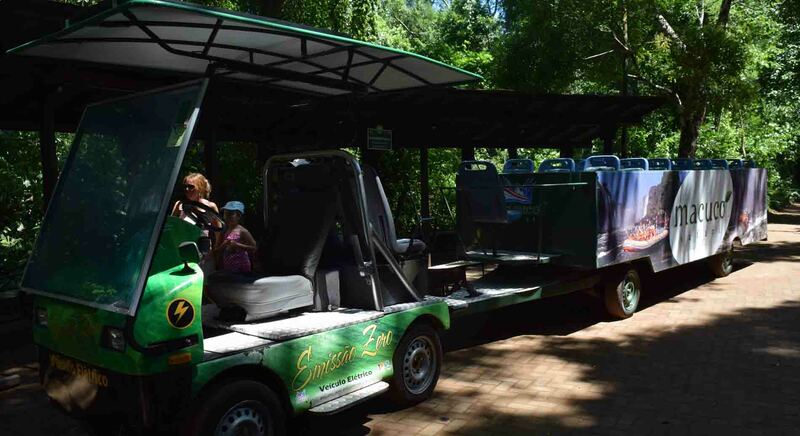 At the gate I was able to buy my entrance ticket and my ticket for Marcuco Safari, who take you on a ride through the jungle to a boat that takes you onto the Iguaçu River below the falls. And this was the experience I didn’t want to miss. You’re into a National Park, with roads from the entrance to the falls. Marcuco Safari has its own stop on the route. 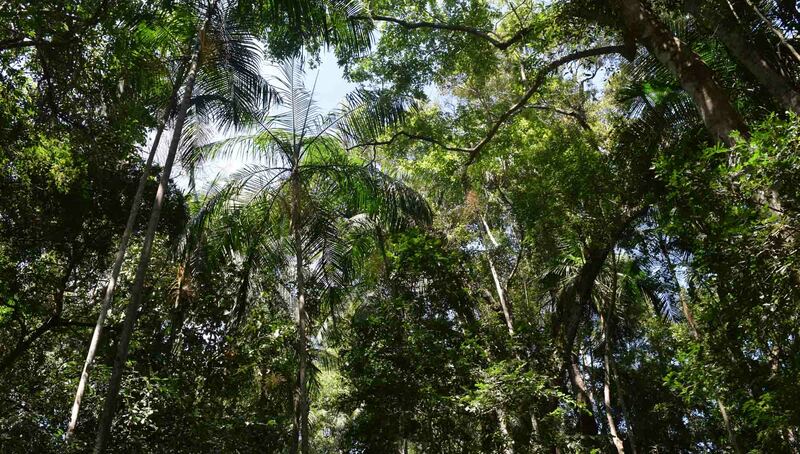 We boarded a sort of train that drove us through the beautifully green jungle to the boarding point for the boat. There we had lockers and showers, toilets. There was a sort of cable car lift down to a platform on the river as we were still high above it. From there onto a large boat and along the river until you get to the falls. 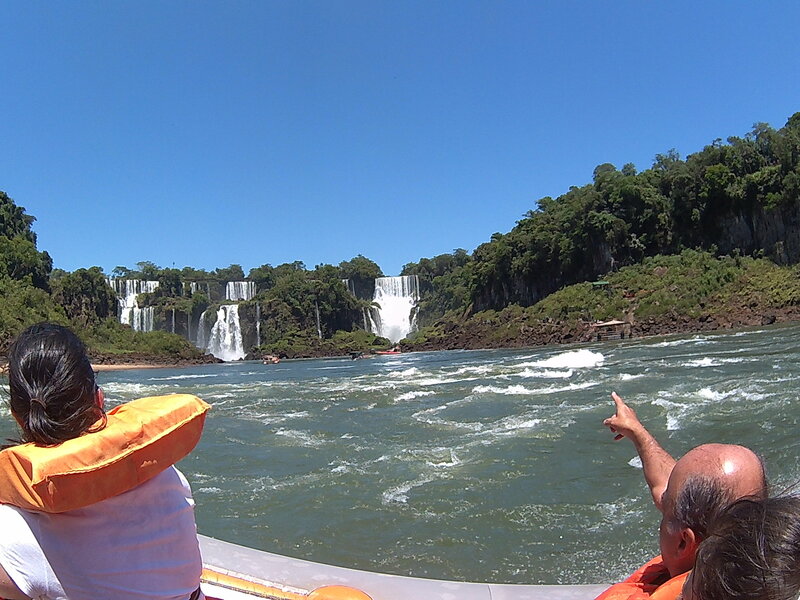 There are a number of falls, and the boat actually goes right under them. Yes, you get soaked – but you will surely be aware of this before buying your ticket. And frankly, with steamy weather and bright sunshine, it’s quite enjoyable to be underneath the water. I took my Kaiser Bass action camera which is how I captured photos and the video above. It was bloody awesome in summary! 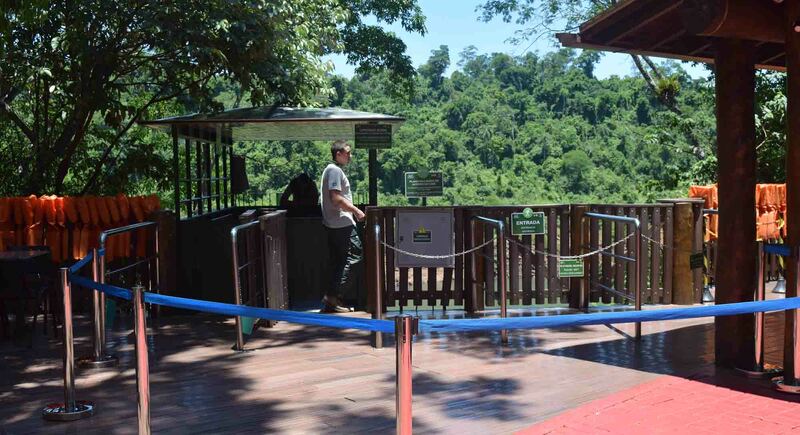 After that I returned to the top and caught the next bus to the falls themselves and their viewing platforms. There are cafes and lots of spots for photos. There’s a lift down to a lower level as well and platforms that extend out over the water. There were plenty of people for sure, but at the same time I can imagine it gets ten times as packed on the really busy days. They are stunning, the falls. They are 50 metres higher than Niagara if you are looking for some sort of comparison. They roar and impress all who see them. And you should too! It was a real detour from my route, which is why I flew in and out. But there are connections to Sao Paulo and I think Rio by bus if you feel up to a night and a bit on a bus. Personally, despite the cost, I was happy with flying. They are one of South America’s many many highlights. Thanks for reading – and May the Journey Never End! Next SCOOT Scourge – Once Bitten, How Many Times Shy OR Will I Never learn the Lesson of Budget Airlines? Really great post and perspective on the Brazil side! We were on the Argentina side in October 2016. We skipped the Brazil side as they charge US citizens $160 each for a Visa. We may of have crossed paths! yeah i was umming and ahhing about going to Brazil because of the cost but I figured I’d regret not getting to Rio when I had the chance! That looks fun and scary at the same time! LOL when looking at your face!! 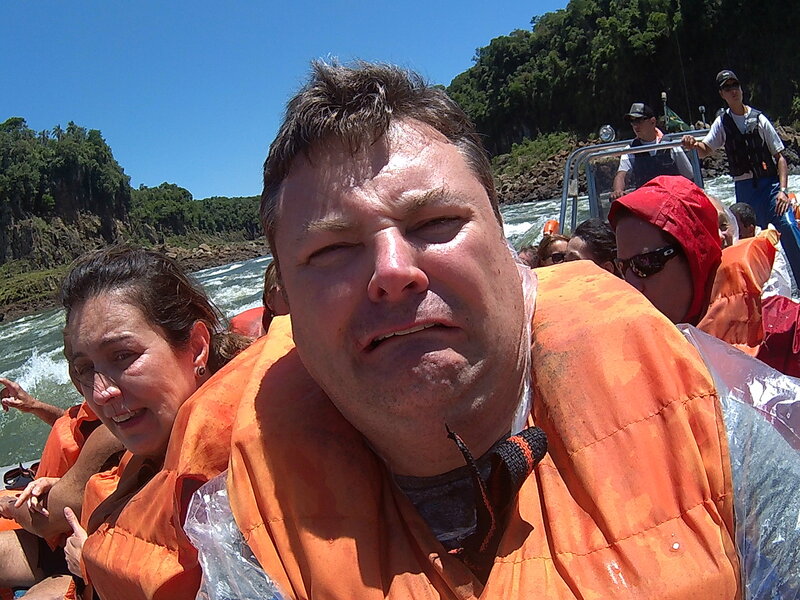 The Iguazu Falls seem so exceptional, Andy! Your pictures left me speechless! thanks for such kind words Agness! Great pics! I’d love to go one day!! 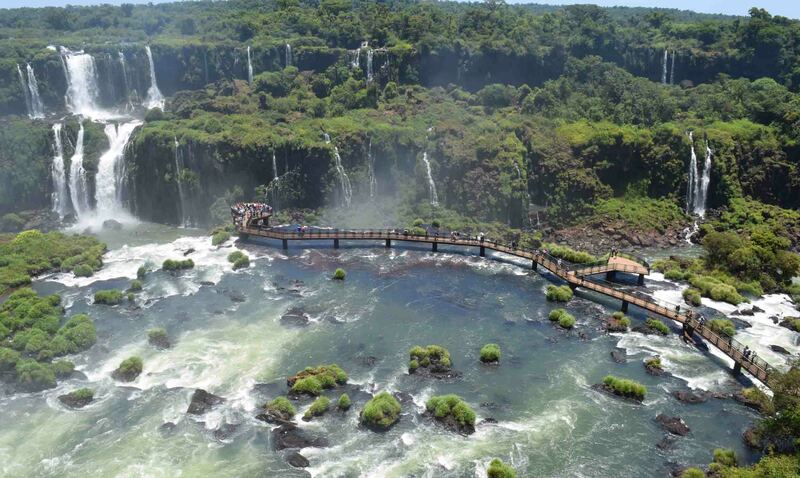 Just love this Iguazu falls. 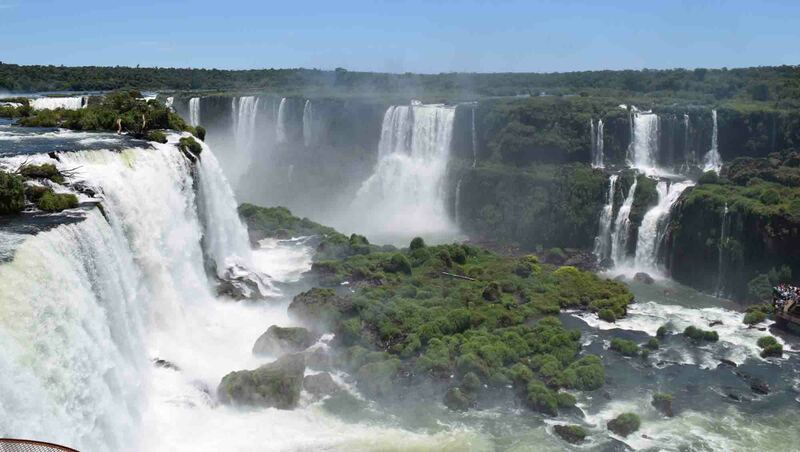 The Iguazu Falls are what divides the river of the same name into its upper and lower portions, a fact that has given rise to several myths and legends as to their origin. 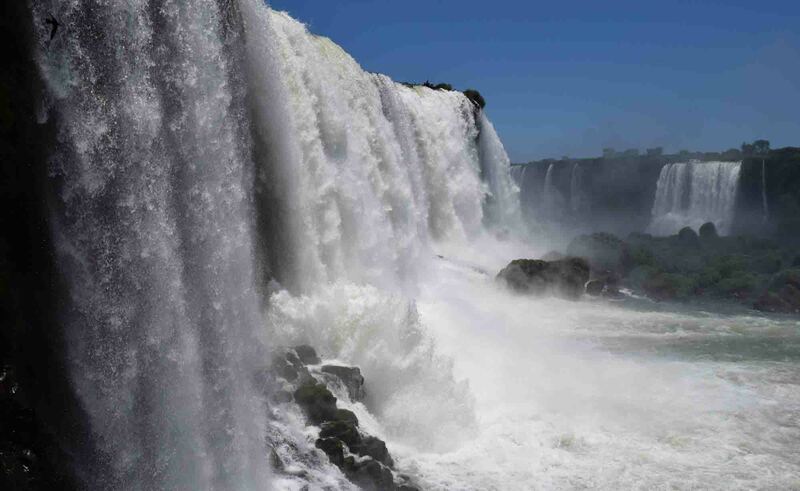 This river forms the boundary between Brazil and Argentina, making it a significant part of the political and geographical structure of the continent of South America. thanks for stopping by! 🙂 its amazing isnt it?